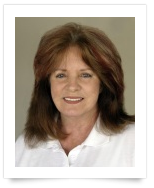 Sustainable Fitness Solutions, founded in 2008, is the creation of Carolyn Hansen. We offer ebooks designed to serve the needs of the fitness and weight loss oriented community. Our products feature effective at-home or gym-based exercise programs, easy to follow diet guidelines, and online support. 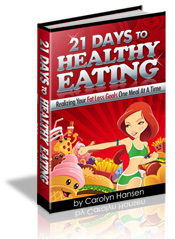 A fitness specialist, Carolyn has published more than 1000 articles on strength training, nutrition, and fat loss, and is the author of several health and fitness books, Stop Weight Loss Resistance, 21 Days To Healthy Eating, and Hot Metabolism. She has devoted more than three decades to the fitness industry, both offline and online, teaching people the simple secrets to getting into better shape, losing weight, and improving health. By providing result-oriented programs, and skilled motivational trainers, Sustainable Fitness Solutions demonstrates its commitment to helping people achieve their fitness/health/weight loss goals, so they can enjoy a healthy, fulfilling life. We work with common sense, passion and enthusiasm. They have been developed by a highly experienced Certified Fitness Professional and have been thoroughly tested with personal training clients over many years before being sold to the public. The approach taken by Sustainable Fitness Solutions is realistic: If you adhere to balanced healthy eating and exercise consistently, you will get great results. 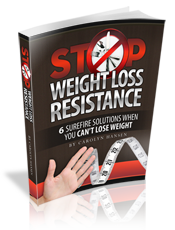 This web site is home for the ebook Stop Weight Loss Resistance: Strategies To Break Through Weight Loss Resistance, which was written by me, Carolyn Hansen. I have added this page for those of you who would like to know a little more about me, and the reason why I took the trouble to put together a book on how to eliminate weight loss resistance. But first, if you really want to understand my motivation for spending time writing about fitness and health related issues, when instead I could be hitting the gym a lot more frequently, then you need to know a little about my background, and my earlier life. I was born in New Zealand (which, by the way is a beautiful country that you should take the opportunity to visit if you ever get the chance) and I still live there today, in Whangarei, the northern-most city in the country. Don't worry if you have never heard of it - so many people have no idea even where to look for New Zealand when they pick up a world map. Hint: it lies about a thousand miles to the south east of Australia. See that little red dot on the map above? - that is me waving to you! Basically Whangarei is a little green paradise surrounded by the most gorgeous coastal scenery you can imagine, and so much in the way of ocean that it is almost like living on an island. Whangarei is also famous for the fantastic diving opportunities out at the nearby Poor Knights Islands. Currently I operate a fitness center located in the heart of Whangarei city, and I spend a great deal of my time consulting with people in my gym, and learning about the problems they face trying to stay in shape and maintain the right kind of diet - which, I will admit, always takes a certain element of willpower. Over the years I have also picked up certifications in the fitness training area, so in addition to dispensing advice to my clients I actually do tend to know what I am talking about! But it was not always this way. In fact, for much of my earlier life I maintained a stunning ignorance about my own body, and this cost me dearly in terms of injuries sustained, and competitions lost, and none of it need have turned out that way. You see, in the 1980's I launched myself into the exciting but physically-demanding lifestyle of competitive bodybuilding. My dream was to gain complete mastery over my body, so that I might sculpt it to the point where people would gasp when I hit that stage. But I ran into problems. Lots of them, actually, because I really had no clue about what I was doing. Back then, the prevailing ideas of the day about how to diet, how to control your metabolism, and how to train while both preparing for competitions, and during the off-season, were quite primitive (and often just plain wrong) compared to what we understand today about how our bodies work, and the optimal conditions and activities required to keep them fit and healthy, right up into our later years. Honestly, it was not until later in my career, after I had figured out much of my newfound knowledge through plain trial and error, that I started seeing the successes on stage that I had dreamed about years earlier. All the wasted time and effort of those frustrating earlier years! I can barely stand to think about it. But it is because of those head-shaking memories, and a sense that I need to turn all my previous losses into pluses as I advance into the next stage of my life, that I am so determined others should not repeat the kinds of soul-destroying mistakes that I was prone to making (always unnecessarily). This is really what provides the motivation needed these days to commit myself to spending a good part of my day at my desk, writing about all of those things I learned the hard way that you need not. Stop Weight Loss Resistance is not the only product into which I have invested a good deal of my time and energy, and I am sure that there will be more down the road. The simple fact of the matter is that there is a certain degree of satisfaction I get just from knowing that others can grab one of my books and benefit immediately from the hard won successes I experienced only after years of hard work and countless days of writing off techniques that sounded promising, but which bore no fruit. It is the kind of feeling that I used to get simply by stepping onto the stage. It also doesn't hurt my customers that I am a firm believer that if someone has tread the difficult path before others, that they should do their best to leave foot steps, and sign posts, so that others can better navigate the journey ahead. So that is basically what I am about. I try to pass on the information that came to me not over a period of weeks, months, or even years, but over decades. I try to crystallize this knowledge and set it into my books so that others can take up where I left off - which is the place that, had I started out there, at the beginning of my own journey, I would surely have reaped benefits and successes in both health and well-being that go far beyond those I was able to achieve simply by never giving up, no matter how hard the journey seemed at times. Trying to eat healthy in today's world is a challenge. From every direction we are bombarded with messages for seemingly enticing and healthy foods, but not all is as it appears. Then there are the constant temptations of junk food - cheap, delicious, and always within reach. No wonder we have a tough time trying to figure out what to eat, and how to stay on the right track. This is why I have prepared an easy to understand 21 day plan to get you on course for a healthy eating lifestyle that can be followed for the rest of your life. Forget the diets. If you want a way to bring your body weight back down to that comfortable level you enjoyed many years ago when your metabolism easily suffered the slings of youth, then this is the only book on healthy eating practices that you will ever need. Contains a plan of action and is backed up by solid fat burner meals that are simple to prepare. Ridding your body of unwanted fat is high on the wish list of a large percentage of the general population. Gaining fat is easy. We have done just about everything we can to ease the physical burden of surviving today, and we have made food cheap and plentiful for all. The downside is that these are precisely the conditions that slow our metabolisms and promote weight gain. What we need is a way to speed up our metabolism so that we can begin burning more fat every day. This is no revolutionary idea - the objective is simply to wind the clock back, so to speak, and do things the way we did before automation and endless aisles of processed food turned our biology sour. 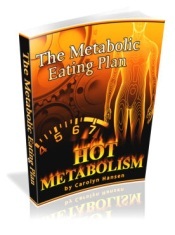 In this book I show you how your metabolism repsonds to physical activity and to eating certain foods. Armed with this knowledge it is a relatively easy thing to increase your metabolism through modifications to your exercise and eating habits. By operating with a higher metabolism your body will burn more calories every day because it will need more to function at its improved efficiency. Better yet, because your metabolism functions around the clock, you will burn excess body fat regardless of what you happen to be doing. No magic involved - just plain old biological science at work! We all know that junk food is extremely unhealthy for us, and that excessive indulgence, which is the norm today, leads to chronic health conditions including obesity, diabetes, and heart disease. The trouble, of course, is that junk food is loaded with simple carbohydrates that flood the body with blood sugar and send insulin levels through the roof. This in turn instructs the body to convert all that excess sugar into body fat, which is the primary cause of deteriorating health today. Well, it is hard to deny our sweeth tooth. But what if there was a way to satisfy it WITHOUT flooding our body with the highly processed and refined carbohyrates that are found in common junk foods? 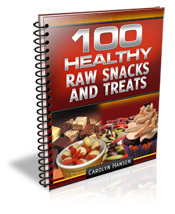 Fortunately there is a way, and in this book I show you how to use raw food ingredients to create healthy, yet mouth watering, snacks that can easily be prepared in your kitchen, and which can replace the junk food that you might currently be relying on to satisfy your sweeth tooth carvings.